Ramathra Fort is a hotel with history. 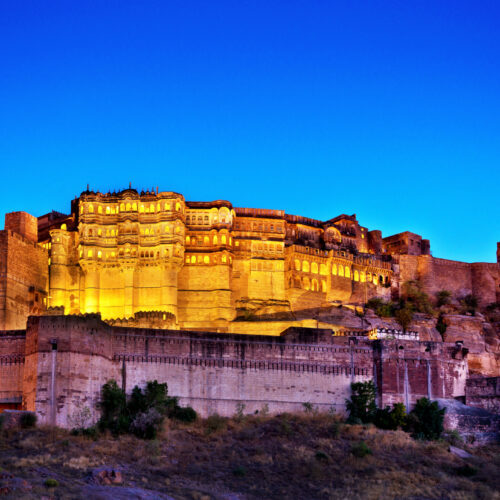 Constructed over 350 years ago, the landmark was first granted as a fiefdom to a Rajput nobleman. Today, it’s owned and maintained by Ravi Raj Pal, the nobleman’s 11th-generation descendant. 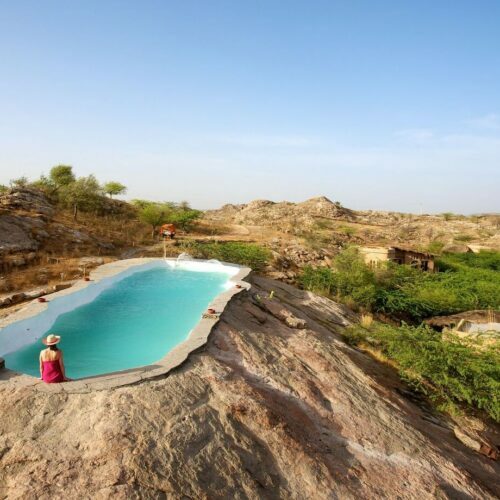 Thanks to Raj Pal’s careful stewardship and eye for design, the historic fort has lately been granted a new lease of life as a luxurious Rajasthani retreat. 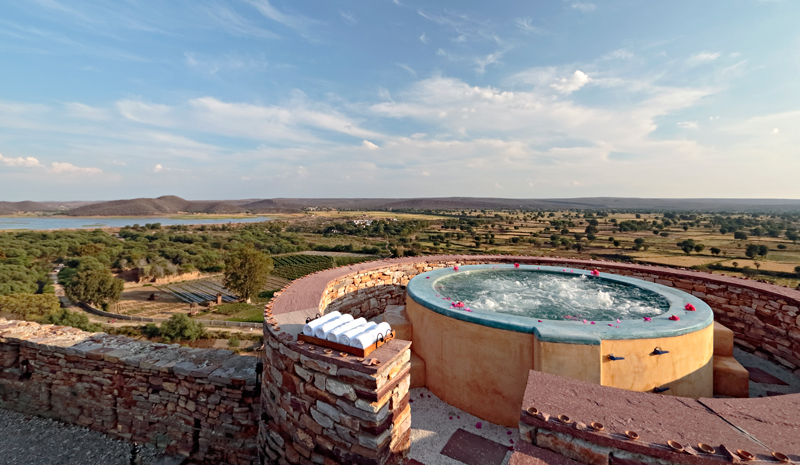 From tented accommodation to lavish suites—and a range of beguiling excursions and other activities available to guests—it’s worth a detour during your adventures in the Land of Kings. To learn more about how the venue was renovated into the destination hotel that it is today, we sat down for a quick chat with Ravi Raj Pal. Read on for the inside story (and a fair dose of travel temptation). 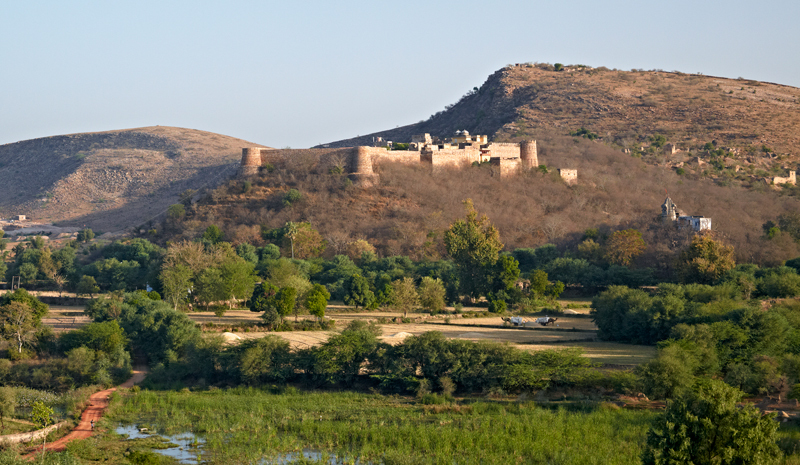 Greaves: What are some of the attractions to be found in this corner of Rajasthan? What makes the countryside around Ramathra Fort special? 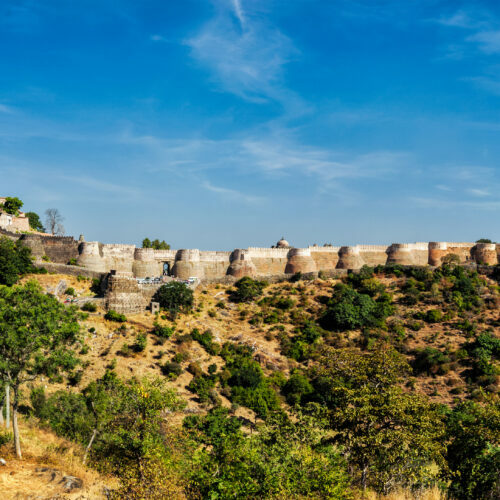 Ravi Raj Pal: ‘The unspoiled charm of Ramathra Fort is due to its geographic location. Ramathra Fort is located on a hilltop, which overlooks the large Kalisil Lake. 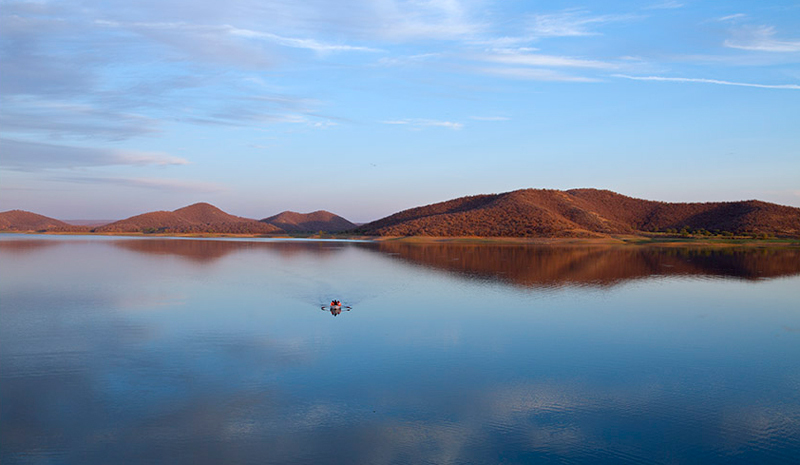 Surrounded by hills and forest, the lake attracts a lot of birds and wildlife in the winter. Ramathra Fort has a close relationship with local villages. What are some of the rural village experiences guests can look forward to? ‘We offer a complete, three-hour walking tour of the area around Ramathra, including the village, a small hamlet of farmers and herders. Visitors will discover local customs, as well as traditions associated with tending crops and animals. A visit to the local village government school is also a part of the walk. Tell us about the region’s royal legacy. What should guests know about the area’s history before they arrive? ‘Ramathra was first granted as a jagir (fiefdom) to a Rajput nobleman, Thakur Bhoj Pal, by his father the Maharaja of Karauli in the 17th century. Its name honours Lord Rama, who, it is believed, camped here while on his epic journey to Lanka. How have you transformed the building into a contemporary luxury destination while still respecting its rich past? 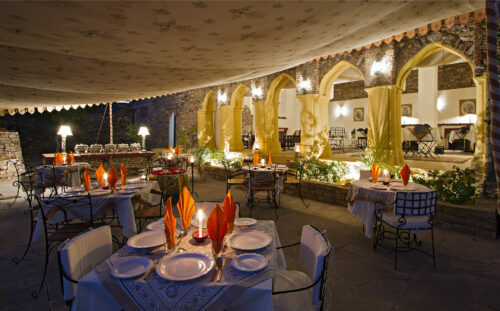 Tell us about the guestrooms and amenities at Ramathra Fort. 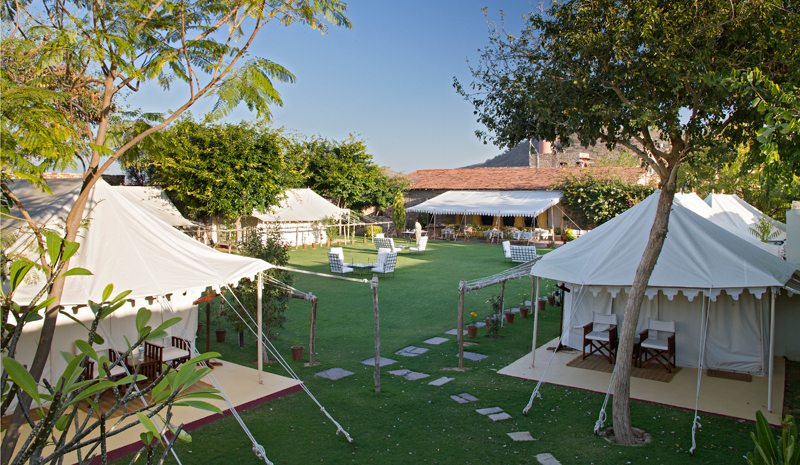 ‘Between October and March, we offer six beautifully designed luxury tents, which are set directly against the rampart walls and surround a lush courtyard lawn. With high ceilings and screen windows, each spacious tent interior is decorated with modern teak furniture, as well as traditional woven rugs and printed textiles. Sleeping areas are outfitted with comfortable beds and night tables, while the sitting room features cushioned chairs, a coffee table and a writing desk, which provides ample room to enjoy tea (or spread out a map to plan the day’s adventures). What is the culinary programme like at Ramathra Fort? ‘The food at Ramathra is special! Menus favour delicious regional fare, prepared in the family kitchen using farm-fresh seasonal produce. 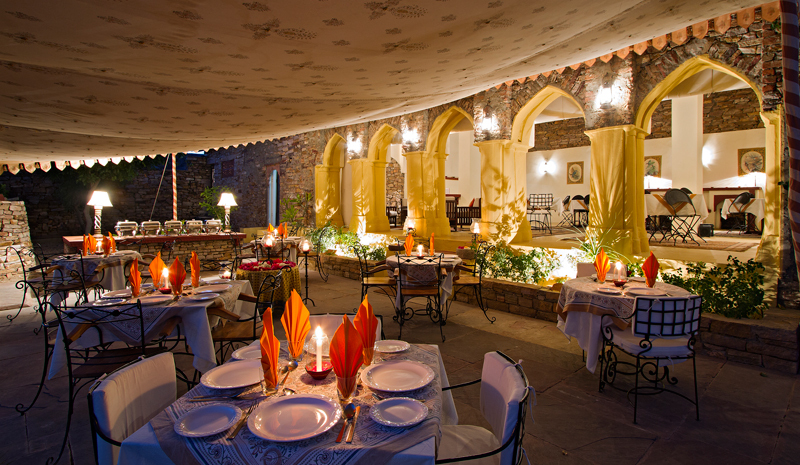 Guests enjoy authentic flavours and traditional cooking methods. We grow, buy, and use organic vegetables exclusively. All our meats are fresh, and are bought on the same day they are cooked. Additionally, we have our own farm below the hill, which helps supply our produce. What’s coming up next for Ramathra Fort? Any new programmes, guest experiences, or other updates to look forward to? ‘In the future, we plan to make Ramathra a 15-suite boutique property. Guests are invited to spend several unhurried nights with us, and we’ll continue to offer a range of interesting activities and excursions.